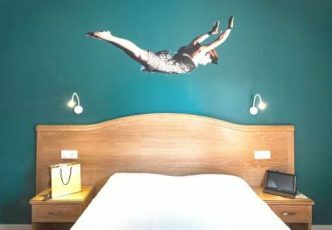 All the bedrooms were decorated in collaboration with Gil Frechet, a photographer with designer background. 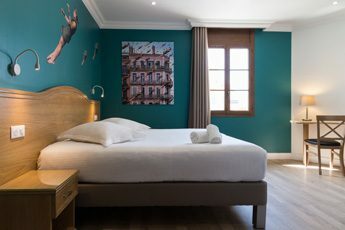 The soundproof and air-conditioned bedrooms are a heaven of peace for your holidays, business trip, or transit journey! 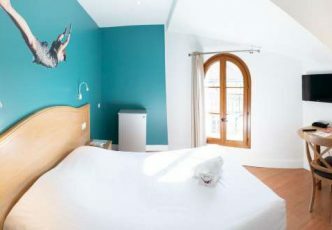 Grand Hôtel de la Gare offers 3 room categories for one or two persons, as well as rooms for 3 or 4 persons. 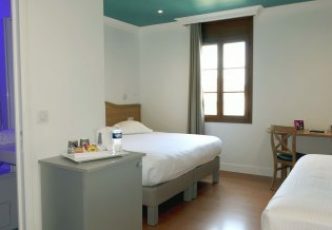 All the bedrooms are equipped with a television with Canal Satellite and Canal+ channels. Animals not allowed in this room category. Animals may be allowed ONLY upon hotel approval when you book your room.